It’s great to be back out filming on location once more for another Bald Explorer adventure. 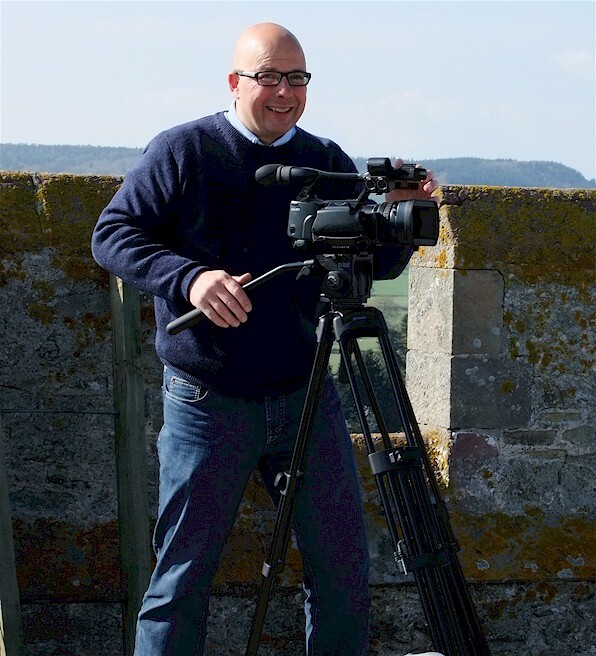 This time I am in the Welsh Marches with my daughter Georgie and we are gathering interviews and a few cutaway shots to be included in the next episode. As you may have gather from previous posts, I am on the search for Caratacus and the position of his last stand against the Roman invaders in AD50. Somewhere, and historians are a bit shady on the exact location, lies the hill and possibly hillfort of this ancient Briton, where he struggled to prevent the might of Rome smashing the tribes of our ancient land. Part of my investigation is to explore the lives and personalities of the people who are here today and who can connect me to those days two thousand years ago. Our filming is all fitted around professional engagements and people’s availability, so unlike a TV film unit we cannot simply assign one or two weeks to gathering all the shots and then edit the programme together, we have to grab our material in bits. It all takes time, but even so, the story delightfully unfolds and the wait will be worth it. 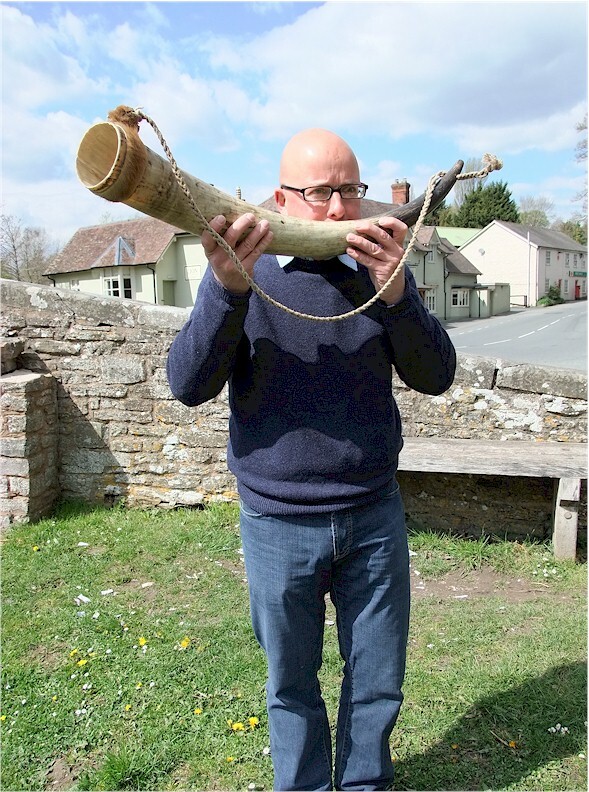 Blowing my own trumpet, ancient man style, thanks to Peter the Corcale Man. I have already been tramping about the location in south Shropshire and north Herefordshire shooting an assortment of views, signs, streams and bridges as part of the flavour of the Welsh Marches. This time, still in the same area, it was interviews with a coracle maker, a bed and breakfast hostess and a local historian who looks after an impressive medieval tower house, that took mine and Georgie’s attention. There were 12th century steps to climb in the circular turret of the old Leintwardine Church so that we could get up onto the roof and grab a few visas and a spot of floating on the river from our coracle chap as we zoomed and focused our lens, and of course, recorded his skills paddling in the River Teme. The beautiful farm house at Lower Buckton was a delight to video as was the old mill adjacent and the Roman leet that ran through the grounds. Maybe the highlight was the home made biscuits, locally produced lunch or the cream teas that was generously given to Georgie and I as we toiled to get the necessary shots in-between the occasional rain showers. I am definitely looking forward to getting back to record more and start the various pieces to camera in my quirky style which has now become my trademark. Watch this space for more adventures from the Bald Explorer.